Naval officer Edward Walter Eberle, the son of Joseph and Mary (Stemler) Eberle, was born in Denton, Texas, on August 17, 1864. He spent his childhood in Fort Smith, Arkansas, where his parents moved in 1865. He received an appointment to the United States Naval Academy at the age of eighteen and graduated in 1885. For the next forty-four years Eberle's career paralleled the evolution of the modern United States Navy. His first commission was aboard the USS Albatross off Cape Horn, Alaska. He was promoted to Lieutenant, junior grade, in 1896 and sailed for three years on the USS Oregon. 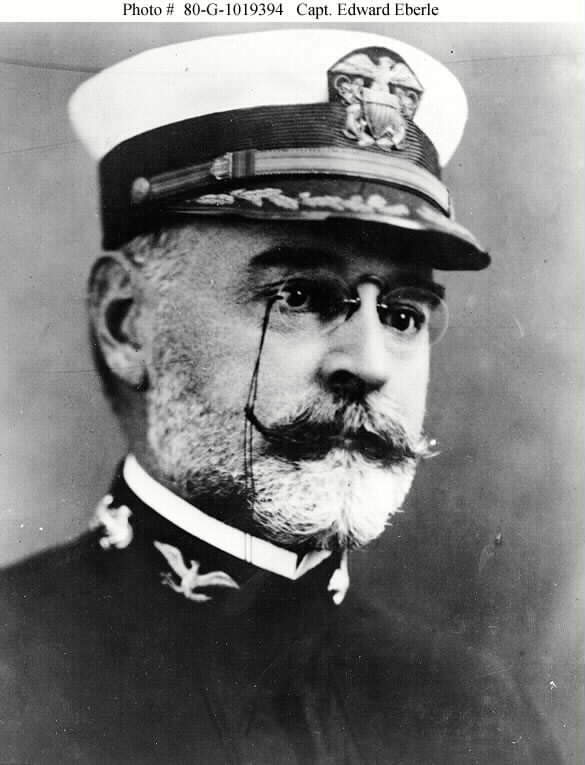 He served as commander of the forward turret during the battleship's famous race around the Horn in support of the attack on the port of Santiago during the Spanish-American War. After the end of the war, Eberle became Flag Lieutenant and acting chief of staff under Admiral Albert S. Barker, commander-in-chief of the Asiatic station, headquartered in Manila. During this time he prepared what became the first modern manual of Gun and Torpedo Drills for the United States Navy. 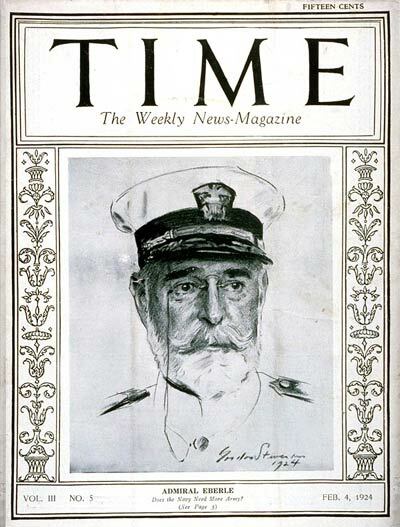 From 1903 to 1905 he again served under Admiral Barker as a Flag Lieutenant, this time in the Atlantic Fleet. During this commission Eberle drew up the first codes for the navy's use of the wireless. In recognition of the two manuals he had prepared, he was sent to the War College, where his reputation as an administrator and technician resulted in his becoming Commandant of the San Francisco Naval Training Station, a post he held from 1908 to 1910. For the next two years he commanded the USS Wheeling on a voyage around the world. After promotion to the rank of Captain while commanding the Atlantic Torpedo Fleet, in 1912 Eberle developed the use of smoke screens to protect destroyers against attack. He was also a leading proponent of employing aircraft to sight and destroy submarines. As a result of his administrative and sea experience, Eberle became superintendent of the Naval Academy in 1915. His orders were to restore the school's reputation after a series of scandals that threatened the institution's reputation. Eberle's success as administrator of the academy during the difficult years of 1915-18 resulted in his selection for the Distinguished Service Medal in 1918 and his promotion to rear admiral the following year. 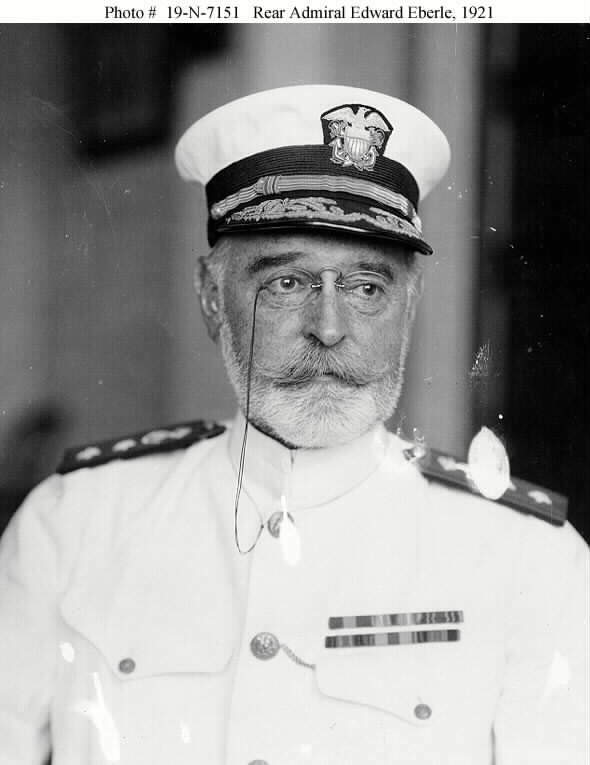 After leaving the Naval Academy, he commanded divisions of the Atlantic Fleet for two years and, from 1921 to 1923, divisions of the Pacific Fleet. In 1923 he became Chief of Naval Operations, the highest shore office the navy offered. His reputation for judicious command decisions and diplomatic skills with politicians resulted in the president's requesting his advice on matters that included disturbances then occurring in China and Nicaragua. In 1927 Eberle became Chairman of the Executive Committee of the Navy General Board. The following year he reached the mandatory retirement age and on August 17, 1928, ended his forty-seven-year naval career. He retired to Virginia, where he lived with his wife, Tazie (Harrison), whom he had married on October 24, 1899. They had one son. Eberle was an Episcopalian and a member of the Society of Foreign Wars, the Military Orders of the World War, and the Army and Navy Club. On July 6, 1929, he died in the Naval Hospital in Washington, D.C.; he was buried in Arlington National Cemetery. Note: His son, Edward Randolph Eberle, Lieuenant Commander, United States Navy, is also buried in Arlington National Cemetery. 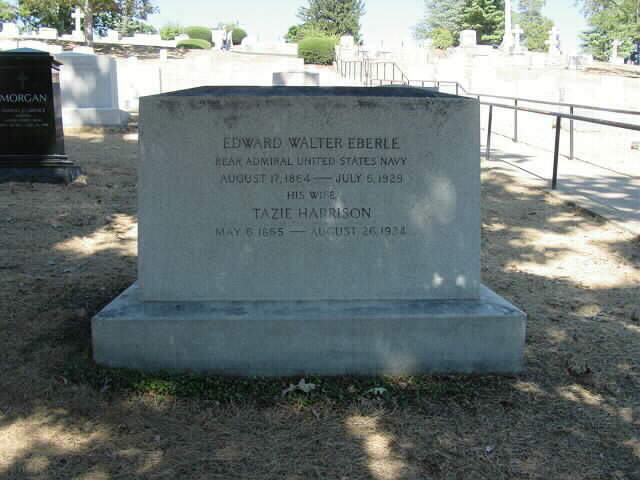 WASHINGTON, August 28, 1934 - Funeral services for Mrs. Tazie Harris Eberle, widow of Admial Edward W. Eberle, former Chief of Naval Operations, who died Sunday in Towson, Maryland, will be held in Bethlehem Chapel of the Washignton Cathedral at 1:30 P.M. tomorrow. Cannon R. L. Wolven will officiate. Interment services will be held in Arlington National Cemetery, where Chaplain Stanton W. Salisbury of the Navy will officiate. The honorary pallbearers will be Admiral W. H. Standley and Hugh Rodman, and Rear Admirals C. C. Bloch, E. J. King, J. W. Greenslade and E. S. Land. 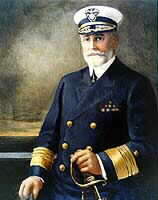 Admiral Eberle died July 6, 1929.